mozat registration will enable you to use mozat application.mozat has proven to be one of the mobile chat messenger that is making wave at the moment.after downloading mozat chat application, the next step is to register an account with mozat to start using their mozat chat application.mozat registration is an easy process.you must register an account with mozat and this is done through mozat chat application.your mozat pin will be sent to your mobile phone upon successful mozat chat registration. 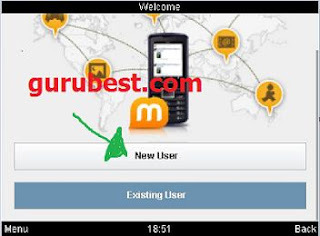 also when registering mozat account,you should choose the option to send the mozat pin to your mobile phone for reminder.this post will guide you on how to register mozat. it is recommended to register mozat so as to get your pin and password that will give only you access to mozat chat application. step1:after downloading mozat to your mobile phone, lunch it.you will see option to choose either NEW USER or EXISTNG USER. step2:since you are new to mozat,then choose new user.it will open a page where you will see your mozat registration pin. 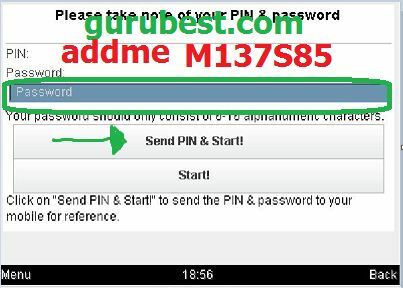 step3:insert your password and choose the option that says send pin & start which is recommended to serve as reminder. step4:a page will open for you to insert your name,do that and click next, a page will open for you to upload your picture.you can skip that.when you do that, your mozat registration is done.that's all.enjoy. you can add me on mozat to get more tips. mozat pin ( M137S85). 4 Responses to "Mozat registration"
is there any way i can register online? @lovely, i don't know if mozat allows change on id.try and check your mozat profile settings to see if you can be abloe to change some things there.